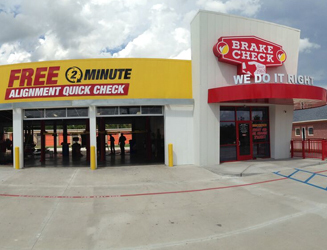 Brake Check has been serving Texas with quality services since 1968. 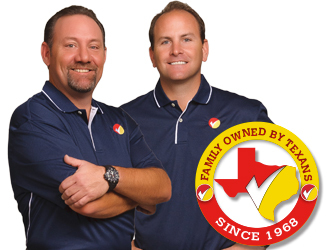 We are family owned, operated and proudly-Texan. 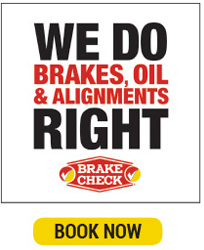 Our goal is to be Texas’ one-stop shop for brakes, oil changes, and alignments, while providing the highest quality parts at the best prices with expedient service. Our founder, John Peveto Jr., moved to San Antonio in 1968 after a successful career at Kip’s Big Boy. He took over a struggling franchise called Brake-O, and quickly turned it around. 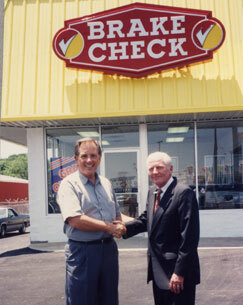 After acquiring another struggling franchise in Houston, called Brake Check, John rebranded all the stores under the Brake Check moniker. The secret to our success? John believed that customers are NOT yours by divine right or inheritance, they are ONLY yours as long as you continue to Do It Right. So what does Do It Right mean? Our COO, Jonnie Peveto III., says, Do It Right means NOT being right, but DOING the right thing. It also means treating customers as informed buyers and carefully explaining their range of options to them, rather than trying to force a one-size-fits-all package on them. It’s not rocket science, and it doesn’t make for a flashy catch phrase, but “Doing It Right” has always been at the heart of Brake Check’s success. To this day, WE DO IT RIGHT is the rallying cry for all Brake Check employees to offer only the most exceptional service and to continue the tradition of making first time buyers into customers for life.